Dry needling was originally inspired by the practices of orthopedic acupuncture that developed over the last several millennia. Much of the research today, for the practice of dry needling, is based on the positive results of acupuncture studies on pain relief. With that said, yes, dry needling is acupuncture by another name. 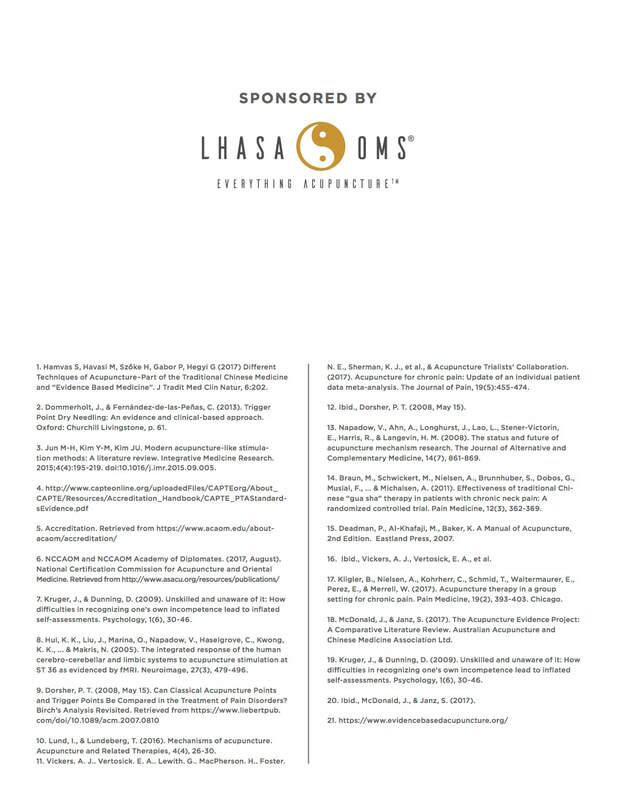 The name was coined for other health professionals to practice acupuncture without completing a 4 year master degree in acupuncture. Unfortunately, the training standards for non-acupuncturists is subpar and many acupuncturist are concerned for public safety due to insufficient training. As acupuncture gained popularity for it's holistic and effective approaches, acupuncture has become the leading complimentary medicine that many other health professionals choose to add to their tools box. 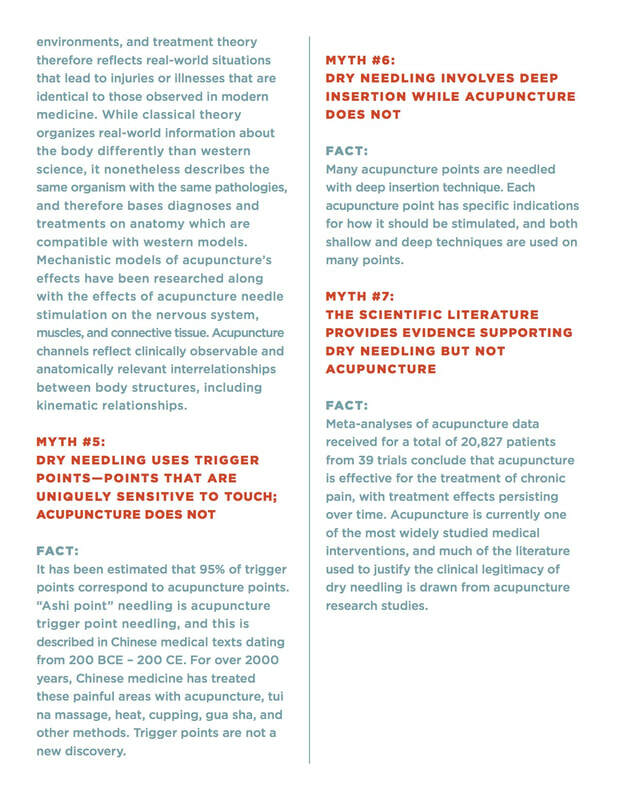 However, non-acupuncture dry needling training hours are minimal (average 300 hours for medical doctors and 57 hours for chiropractic and physical therapy). Compared to the 4 year post graduate master degree of a full acupuncture education, that is very little training. Choosing an expert with extensive training, ensures that your treatments are extremely safe, effective and pain free. 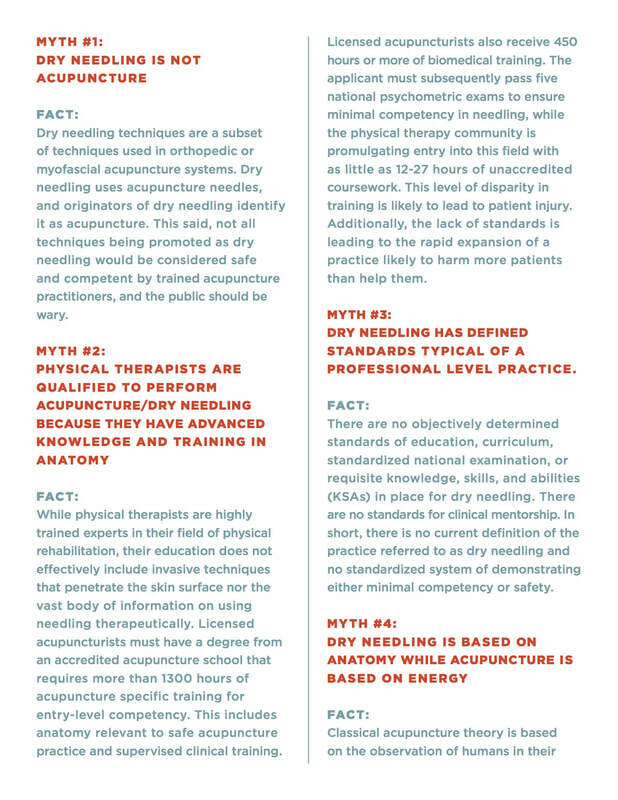 Please read the following document for more specific information on dry needling. 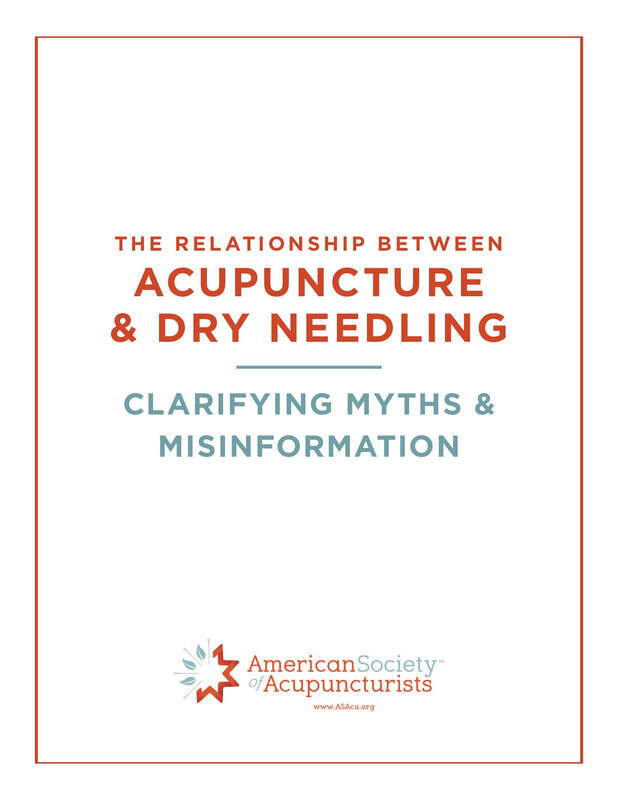 "The relationship between Acupuncture and Dry Needling: Clarifying myths and misinformation"
​ "My physiotherapist wants to use acupuncture needles; are there any risks related to this?"